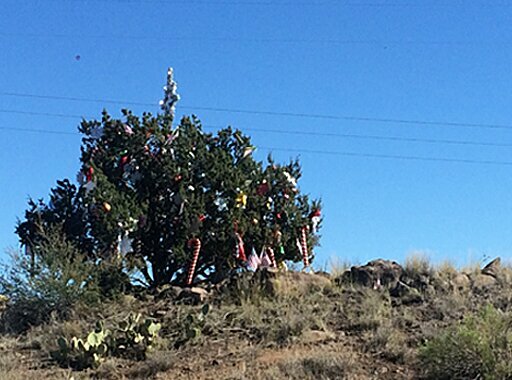 Who Decorates the Mystery Tree on I-17 Near Sunset Point? The mystery tree along I-17 is decorated again this year. 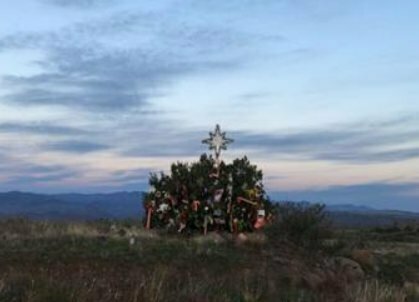 Anyone who drives from Phoenix to northern Arizona in December has almost surely noticed the fully decked out tree in the I-17 median near the Sunset Point Rest Area. The tinsel, garland and ornaments are up again this year. The tree is seen as a joyous state icon, bringing an annual smile to those who spot it. But who decorates it? According to ADOT, the answer is a mystery. The juniper, once a wee thing but now 20 feet tall, has been decorated during the holiday season for more than 30 years. ADOT seems to know a fair amount about the tree’s history, such as: In 2011, a brush fire burned right up to the tree but didn’t scorch it. 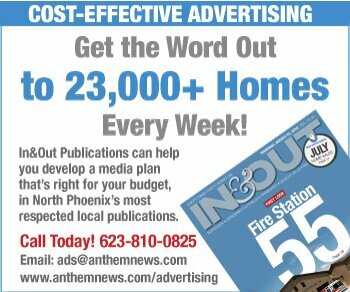 “Flames got right to the base of the tree and some ADOT workers were here, some passersby, I think a firefighter or two, and they wound up being able to beat down the flames,” agency spokesperson Doug Nintzel said in an interview with KJZZ. Some have speculated that Santa’s elves are behind the decorating. Nintzel has admired the tree since at least the early 1980s, and he doesn’t know who decorates it, and he likes not knowing “because I like to keep the mystery alive,” he said. In 2011, ADOT took this photo of the mystery tree after a brush fire had burned right up to it.